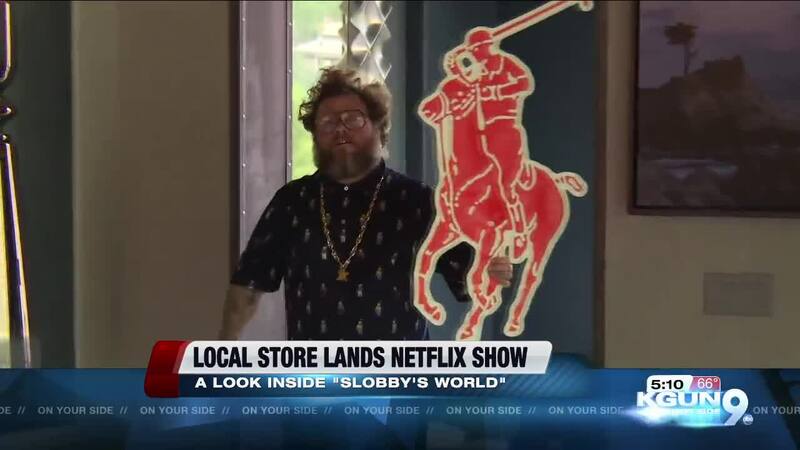 TUCSON, Ariz. — It's been a wild ride for this local store owner. “Everything has been one amazing merry go round except it’s like a merry go round that goes up and up as you ride it,” said Owner of Generation Cool Robert Hall AKA Slobby Robby. The essence of what we do is nostalgia, those pop culture images and pop culture ideas, whether it is Michael Jordan, polo, He-Man, Mr. t. these are all things that can resonate with somebody. The retro 80s/90s store features blasts from the not so distant past including Ninja Turtles, Hulk Hogan and Britney Spears. Their show Slobby's World recently started airing on Netflix and is a big hit. He's gotten a lot of new customers who are also big fans. “I was watching it last night, binge watching it,” said customer Nick Hernandez. Slobby Robby says the new fame is great, but he won't ever forget his roots. “4th avenue and downtown has a funky kind of thing going, there is a lot of eclectic people so I think I have always fit in well down here. I went to Tucson High two blocks away so this is my part of town, these are my people. So we are going to stay connected to our people. Get more a more behind the scenes look with this facebook live!